The history of Sunnyside Christian School is really a story of God’s faithfulness through His unfolding plan for Christian education in the Yakima Valley. In the summer of 1942, God caused men and women of faith and vision to begin planning for establishing a Christian school in Sunnyside. These people believed that full-time, Christ-centered education was essential for their God-given children. In 1946, a parcel of land was purchased on “Half-Pavement,” now called North Avenue, the present site of the elementary building. In 1947, a constitution was drafted, declaring the basis and purpose of Sunnyside Christian School Association. Also in 1947, parents in Zillah made plans to operate a school bus to bring their children to Sunnyside Christian when it opened. Sunnyside Christian School became a reality on September 8, 1947 when grades one through four began meeting in Sunnyside Christian Reformed Church. 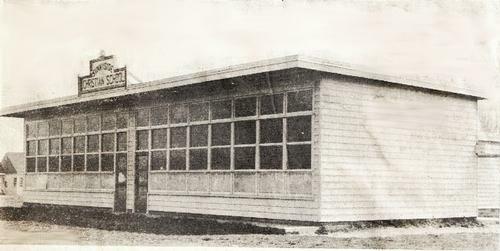 Classes moved to the new two-room school building on “Half-Pavement” in January 1948. The next school year, beginning in August, 1948, classes were expanded to include grades five through eight. Enrollment more than quadrupled to 84 students. After those beginnings, God faithfully continued to direct His people, not only to maintain Christ-centered education in the Yakima Valley, but to expand it as well. In the 1969-1970 school year, 94 students were enrolled in the eight grades. Kindergarten was added in 1978, and high school development started in 1980. Enrollment was 287 students in grades K-10. Construction of the high school building took place in 1984, and grades 9-12 began classes there in December of that year. Truly, God’s faithfulness has provided for changes, expansion, and extension of Christian education in the Yakima Valley. Today, we have students ranging from Toppenish and Zillah to Prosser.